The Nicolaas G. Pierson Foundation chose to compile the best scientific information on climate change and livestock farming, which is presently available and to translate this for a broader audience. The film was produced by Claudine Everaert and Gertjan Zwanikken. The calculations on greenhouse gas emissions used in the film derive from and have been validated by the Food and Agricultural Organisation of the UN (FAO), the World Watch Institute, the Institute for Environmental Studies of the Free University Amsterdam and numerous other authoritative sources. Well-known Dutch celebrities, such as Anthonie Kamerling, Georgina Verbaan, Henk Schiffmacher, Yvonne Kroonenberg, Karen van Holst Pellekaan, Wim.T.Schippers and Dolf Jansen, participated in the making of the Dutch version of this documentary, which has already been deemed better than Al Gore’s An Inconvenient Truth by the science editors of the quality Dutch daily newspaper, the NRC Handelsblad. 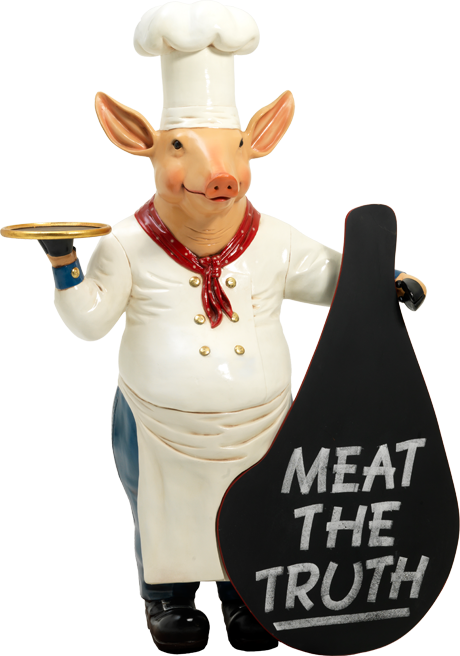 In the meantime, the Nicolaas G. Pierson Foundation has also produced an international version of Meat the Truth. This English language film is better tailored to an international public and uses calculations on the carbon savings that may be achieved by reducing one’s meat consumption based on American, rather than Dutch, examples. Many well-known celebrities, such as Pamela Anderson, Bill Maher, James Cromwell, Emily Deschanel, Tony Denison, Esai Morales, Megan Blake, Debra Wilson Skelton, Elaine Hendrix, Kate Flannery, Carol Leifer, Joy Lauren, Hal Sparks, Constance Marie, Kristina Klebe, Skyler Gisondo, Graham Patrick Martin, Greg Vaughan and Touriya Haoud Vaughan, participated in the making of the international version of the film. With this documentary, the Nicolaas G. Pierson Foundation hopes to make a contribution to the societal discussion about a more plant-based and thus also more animal-friendly diet and society. Moreover, the Foundation also anticipates that the film will provide a showcase for prominent scientific reports about livestock farming and climate change, which unfortunately have thus far proved inaccessible to the general public. The world premiere of Meat the Truth was held on 10th December 2007 in the Tuschinski cinema in Amsterdam. The international version of the film premiered at London’s Odeon West End Cinema in Leicester Square on 19th May 2008 and has since also had its premiere screening in the USA at the Egyptian Theatre, Hollywood, LA during the Artivist Film Festival on 3rd October 2008. The international version of the film is now available for purchase on DVD via Amazon.com. Click here to order your copy!